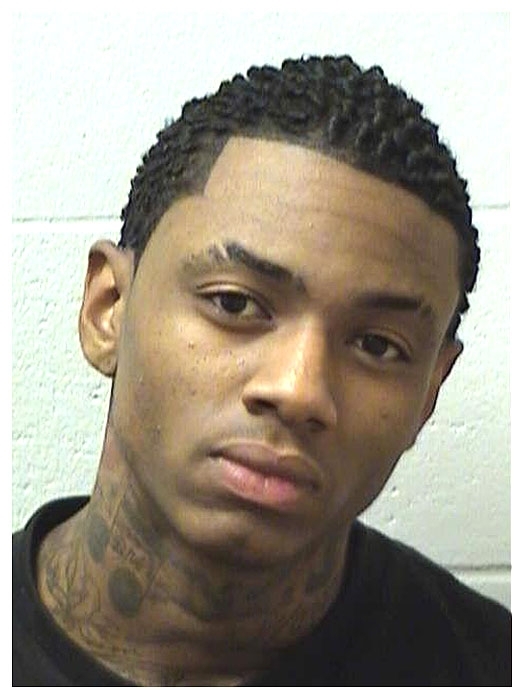 Rapper Soulja Boy was arrested in October 2009 on a misdemeanor obstruction charge in Henry County, Georgia. The 19-year-old performer (real name: DeAndre Way) was nabbed for running from cops who had been called to the site of a music video shoot. He was arrested after returning to the scene. Submitted by rcmayo on Fri, 2011-06-03 09:19. Hey give the bro a break. He has an angular haircut and neck tatoo aight? Submitted by SpecialEd on Thu, 2011-06-02 23:10. Submitted by mpcooney2 on Thu, 2011-04-21 21:04.
he doesn't even rap. he repeats the same exact words over and over again. no talent. Submitted by liam42 on Sun, 2010-10-03 14:51. Submitted by Twaney on Thu, 2010-09-30 00:38.